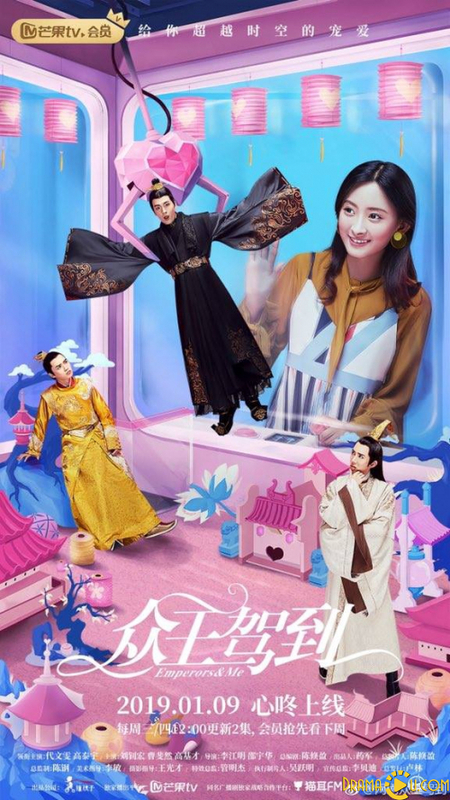 An ordinary college student who discovers that she has the power to travel through time mistakenly brings back three emperors from their respective dynasties to the present day. In order to help her roommate Fei Yan cope with heartbreak, Luo Xi who is in her senior year of university runs into trouble. The debacle ends with Luo Xi and her friend Le Xue falling off a building. By a miracle, they survive and find themselves within the pages of the novel Qian Guo Ji. Qian Guo Ji is set in the continent of Xia Zhou, and revolves around dynastic changes that spans a thousand years. Luo Xi and Le Xue meet young emperor Qin Shang of Qi. Being pursued by Qin Shang's army, Luo Xi manages to return to the present at the most crucial moment. She brings back Qin Shang with her and realizes that Le Xue has been left inside the book.